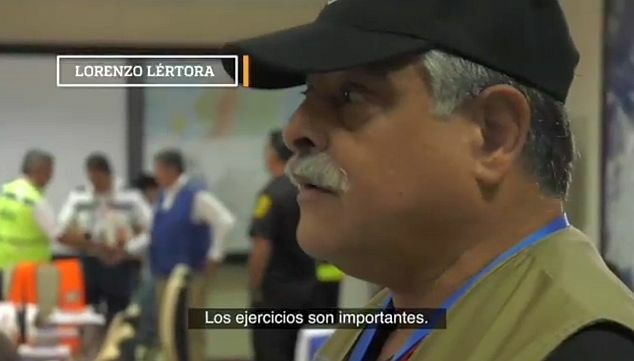 Recently, the Mayor’s Office of Guayaquil, Ecuador, launched a program under the slogan “Better Prepared, Less Risk” to educate the population about earthquakes and this improve their preparation for those events. During one of those events, Lorenzo Lértora, HC2BP, president of Guayaquil Radio Club commented that “exercises are important. All of us have to understand that when there is an earthquake, each area becomes isolated. It is impossible to move around the city, because while some people want to go that way, others want to go the opposite way.” At that precise moment, a strong earthquake surprised those participating in the program and forced the evacuation of the facilities. Guayaquil Radio Club is ready and prepared to participate in any emergency situation that might arise and to provide help in the communications area. Communications exercises are held periodically, focused in potential emergencies and contact is maintained with the organizations dealing with emergencies in the country. Guayaquil Radio Club and its members participate actively in the earthquake drills that the Citizen Security Corporation holds every year.